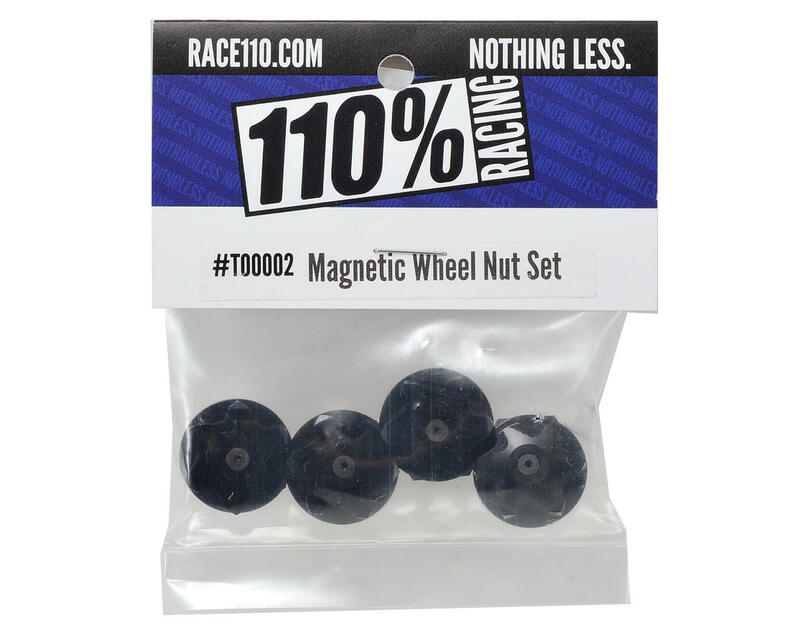 This is a pack of four 110% Racing Magnet 17mm Wheel Nuts. 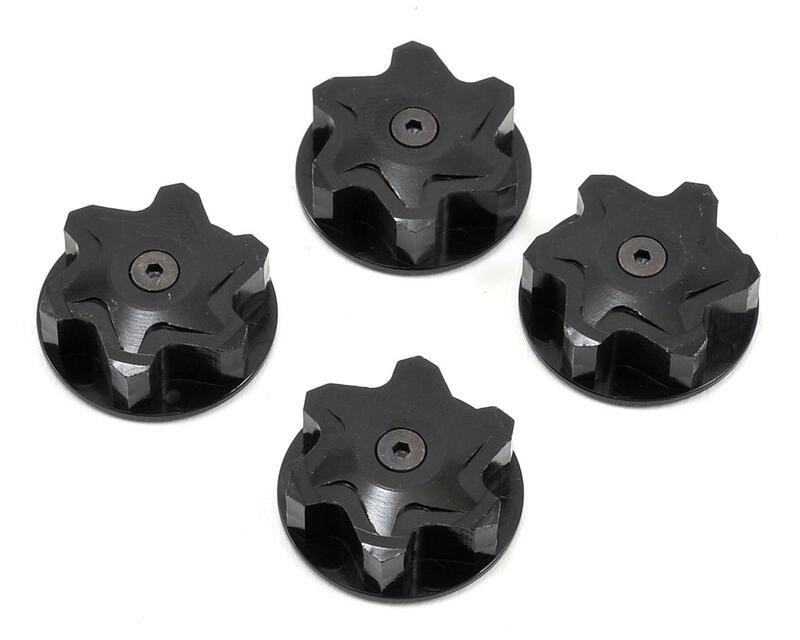 This set of 4 wheel nuts comes with a metal screw embedded in each nut, so they're ready to use with the 110% Racing Magnetic Wheel Wrench (110-T00001). The nut incorporates what 110% believes to be the best knurling available. These nuts hold stronger than anything out there and will fit any 1/8 scale car with a fine thread pitch axle. These wheel nuts stick to the wheel like glue and never back off what so ever. Also just to note that you do not need the 110% wheel wrench, any 17mm will do. The 110% wrench is pretty nice though.